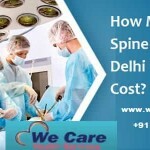 Home blog How Much Does Spine Surgery in Delhi Usually Cost? As we all know that the spinal conditions can be varied from musculoskeletal impairments, nerve disorders to joint dysfunction due to the spinal injuries people suffer from a lot of frustration as it affects their mobility. With the advancement in medical science, we have different procedures to treat the spinal injuries. 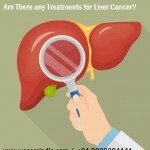 Delhi is a city where we have the best hospitals with the qualified and experienced surgeons who will help the patients to get rid out of the pain and that too at a very reasonable cost. Generally, the spine surgery cost in Delhi ranges from USD 4,000 to USD 15,000 depending on the type of surgery, hospital, surgeon etc. 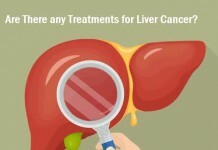 The final cost of the treatment will be confirmed when you meet the surgeon and they will examine the exact cause which is affecting your life. What are the treatments available to treat the cause of spine surgery? a) Laminectomy: This is one of the most common procedures of spine surgery which is performed by the spine surgeon at the hospitals under We Care India . The purpose to perform laminectomy is that it will decompress the spinal nerves. The main aim of the Laminectomy surgery is to create the space for the spinal nerves by removing the posterior-most part of the vertebrae which is known as the lamina. The approximate spine surgery cost in Delhi for laminectomy ranges from USD 4,000 to USD 6,000 and the patient will need to stay at the hospital for around a week. b) Kyphoplasty: Kyphoplasty is a spine procedure which is performed to correct the condition of the Kyphosis which occurs in the spine by an abnormal curvature in the cervical and thoracic regions. The spine surgeons at the hospitals under We Care India perform the Kyphoplasty to eliminate the curvature and reshape the spine. The complication which arises due to spinal abnormality will be prevented by Kyphoplasty surgery. The spine surgery cost in Delhi for Kyphoplasty ranges from USD 6500 to USD 8500 and the patient need to stay at the hospital for 5-7 days. c) Scoliosis Surgery: This is a spine surgery procedure which is performing to correct any bends or twists in the spine that occurs as a result of scoliosis. The surgeon will correct the condition of scoliosis which is depending upon the degree of curvature of the spine and the area affected by the curvature. The cost of this spine surgery procedure in Delhi will range from USD 5,000 to USD 15,000 which depends on the number of curves to be corrected; the procedure was chosen i.e. anterior or posterior, patient’s medical condition, city, hospital, and surgeon etc. d) Spinal Fusion Surgery: Spinal fusion surgery is a commonly used procedure which is performed to stabilize the spine in situations where the degeneration of the vertebrae leads to the impingement of the spinal nerves. The degenerated discs are the discs which exert the pressure on the vertebrae which leads to excruciating pain. The surgeon who is performing the spinal fusion surgery will fuse the adjacent vertebrae to prevent it from moving out of position thereby eliminating the pressure on the spinal nerves. This is one of the major spine surgery and the patient need to stay at the hospital for about 7 to 10 days. The approximate spine surgery cost in Delhi for spinal fusion surgery ranges from USD 5,500 to USD 6,500.
e) Spinal Tumour Surgery: The surgeons at the hospitals under We Care India will perform the spinal tumour surgery to remove the malignant as well as a benign tumour that originates in the human spine. These are the tumours which can create pressure and affect the spinal nerves by creating various complications. To avoid such complications, the surgeon will remove a tumour completely while preserving as much of the normal spine as possible. This procedure of the spine surgery in Delhi would cost between USD 9,000 to USD 10,000.
f) Herniated Disc Correction Surgery: Herniated disc correction surgery is usually performed by the spine surgeons when all other conservative methods of treatment to control the situation have been failed. The surgeons identified the causes and will surgically remove the portion of the disc which has protruded thereby preventing it from pressing on to the spinal nerves. This herniated disc correction surgery cost in Delhi ranges from USD 9,000 to USD 10,000 and the patient need to stay at the hospital for 5 to 8 days and they need to stay in Delhi for around 10 to 15 days to recover fast. Why people from other developed countries prefer Delhi for their spinal treatments? The reason that people from other developed countries prefer to visit Delhi for their spinal treatments is the cost of the spinal surgeries and the success rates which is quite high as compared to the success rates in their own countries. 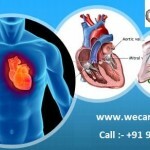 Delhi is a city where the surgeons at all the network hospitals under We Care India perform the surgery at a very reasonable cost without biasing between the poor, payee or needy people. Also, they provide the surgeries without compromising the quality of the treatment. The inventory staff across the hospitals under We Care India will purchase the equipment from the international market to deliver the highest success rates of the treatment. 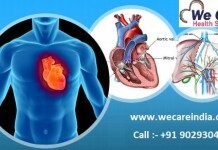 In Delhi, the We Care India the medical tourism company has the tie-ups with renowned hospitals where the surgeons and other professionals treat all the patients as their own family member and they will not compromise the quality for the money. They are very caring towards the patient’s health which makes the hospitals under We Care India different from other hospitals or clinics. 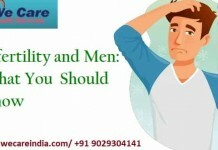 If you are a person who is suffering from spinal problem then We Care India, the medical tourism company is the right place where the representative will help you to reach out the best spine surgeon who will help you to get rid out of the pain and allow you to live an improved quality of life. Next articleWhy Surgeons Perform Valve Repair Surgery in India?